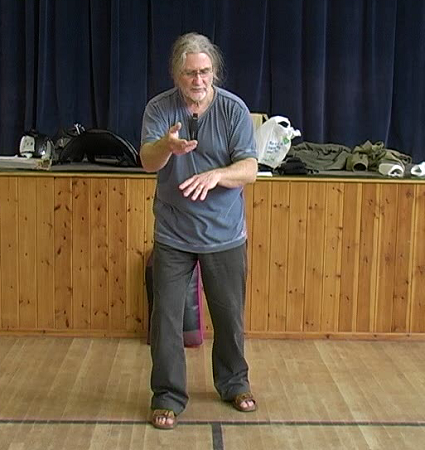 This is an exciting area of one's Baguazhang training as it involves very advanced methods of doing the Bagua Linear Form. Here we learn how to use this great form as Qigong in order to completely re-balance the internal Qi. Excellent for anti-depression etc. We also learn that this form, when done in a different way can be used to build body muscle for the self defence arts. Doing this form at this more explosive level is like doing an hour at the gym. Excellent for self defence as it build all the correct muscle groups for fighting. This form is also part of the "Qi Activation and Manifestation" method, where we are able to actually use the postures in certain ways to heal others in a full therapy for various disease and body states.